Fatima is a city that is located about an hour away from Lisbon, Portugal. It’s a city in which the Blessed Virgin Mary was reported to appear to three shepherd children. 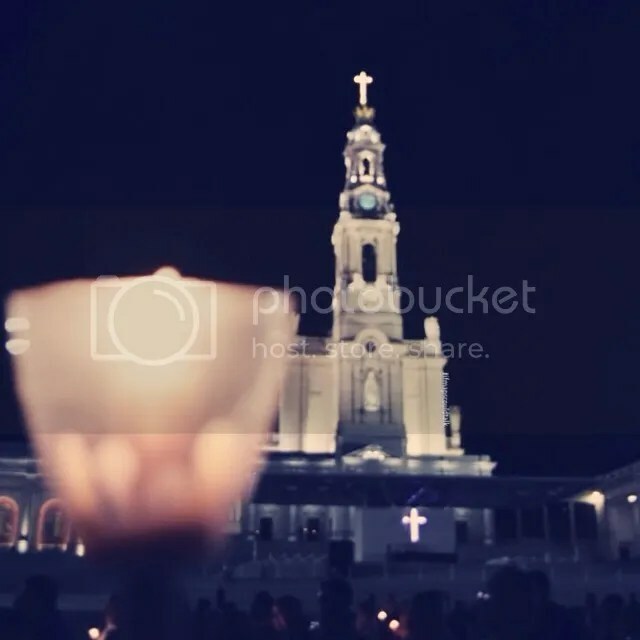 The events in Fatima gained fame partly due to the prophecy provided by the Virgin Mary. In this blog, I’m not going to go over the prophecies or the history; I mean you can really research that yourself. This is more of a continuation/more detailed information on Day 2 and 3 of the Portugal Itinerary. The tour that I went on left Lisbon on Day 2 and we ended up in Fatima around 5 in the afternoon; as such we had Day 3 to check out Fatima on our own leisure. There was also an optional excursion to Convent of Christ, a convent that was founded by the Order of Poor Knights of the Temple (or Templar Knights) which is covered in the Portugal itinerary. Fatima is considered to be one of the most modern pilgrimage sites. There is a lot of modern/classic elements to its basilica, chapel, and shrine (the sanctuary). It just feels so new. There are even some hotels that are still being built around the area. The Hotel we stayed in was called Hotel Estrela de Fatima. It was only 5 minute walk from the whole sanctuary. I would stay here again if I go back. It was clean and small, but I kind of expected that when going to Europe. The food that was provided for breakfast and dinner was very simple. The breakfasts were the same, however, they do differentiate the 2 dinners so you’re not eating the same meal on both days. On the night we got there, the tour leader pointed out the shrine and the basilica for 5 minutes then told us that dinner was around 7:00 pm. After dinner, she said that there was a Candlelight Procession Procession that was going on around 9:00 pm. This Rosary Procession was something we could not miss. Every night they would do a procession but because it was a special day or something, they carry out another replica of the Virgin Mary Statue and walk around the whole sanctuary with it. As a tip, she said we need to get there 1 hour early to get a seat or we would be standing the whole time. (Note: Please check actual times in pamphlet when you get there or you can check the schedule here). For the candlelight procession, you can buy candles in the little shops around the area or go to the sanctuary to pay for candles (they’re the same price. However, the shop’s candles are a bit flimsy so I do recommend buying from the sanctuary instead – they do provide the covers/cups so wax doesn’t go over the place). These candles are in the back of where people lit the candles. Side note: A funny thing happened on the night I went, where this man was praying but his whole cover caught on fire. I don’t mean to be mean but I just want to say that I hope it doesn’t happen to you. 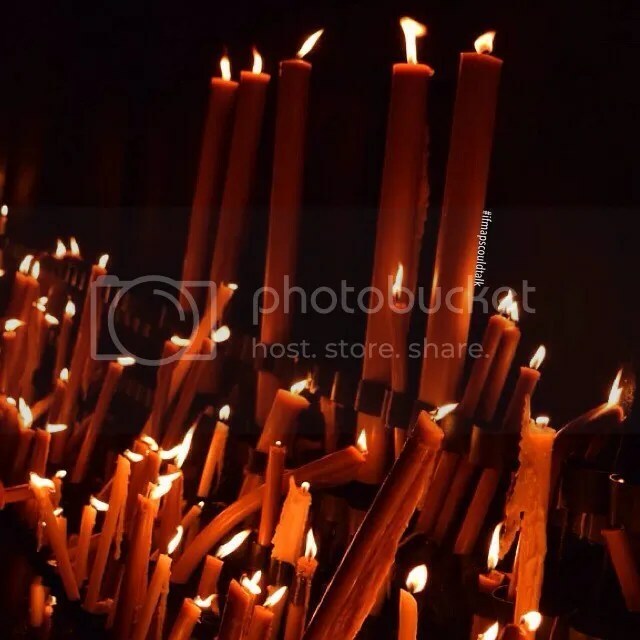 He bought the flimsy candles and it was melting sideways, but then again he prayed with his eyes closed and didn’t look at the candle until someone tried to put the fire out. So be careful! During the procession, they start with a prayer and go over the rosary and say the Hail Mary in different languages. This was the first time I’ve experienced this, but there was a sense of community. You know when you go to church and you feel like you have to be there because you need to be there? Well, this was something different, I felt that these people actually want to be there. Even though each person there spoke and prayed in different languages there was some type of unison. The next day my parents and I went on the excursion to the Convent. However, some people did decide not to take excursion and stay in Fatima. They do have masses throughout the day in the Chapel of Apparitions. I didn’t get to check out the whole town but there is the Stations of the Cross and museum that you may want to check out. These are based on me conversing with other people in the group who didn’t go on the excursion. I don’t know if it was just my tour leader and if the excursion actually included this, but the tour leader took us to the village where the three shepherd lived. If your excursion doesn’t include this, then don’t fret. It’s only a 30 minute walk from the sanctuary. They also have a trolley that goes from the sanctuary to the village if you don’t want to walk. We also had a chance to meet Lucia’s niece who is still alive. She doesn’t mind taking pictures and meet with you. After the excursion, we did the Mass at 3:30 pm since it was the English mass. However, since it was some big event or some holy day, it turned into a Portuguese mass with a big procession. Side note: They do have holy water in the middle of the sanctuary. However, its not something that it’s known for like Lourdes. If you’re ever in Portugal, you may want to visit Fatima. Before this trip, I probably wouldn’t have gone but glad I learned a lot about it. 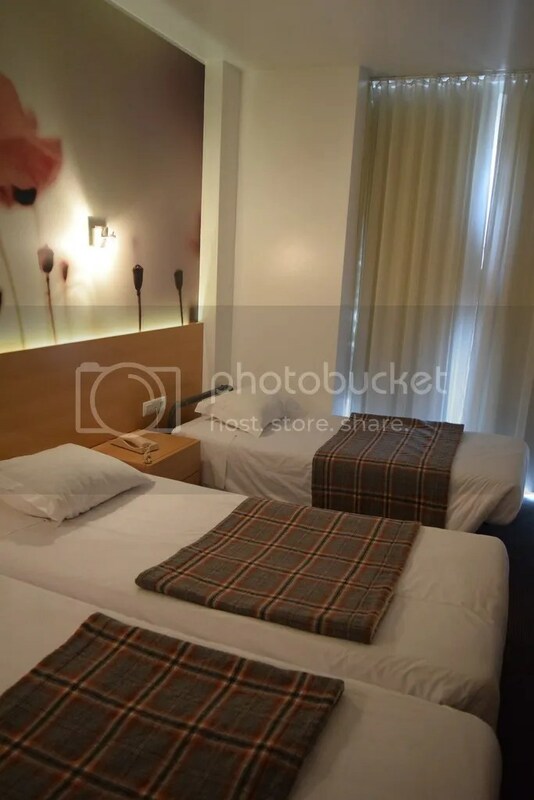 This entry was posted in Itinerary, Portugal and tagged Fatima, Hotel Estrela de Fatima, Itinerary, Portugal. Bookmark the permalink.